This article is part of our special report Is EU development aid working?. EU countries and institutions contributed more than half of the world’s development aid in 2015. European development assistance budgets rose by 16%, twice as fast as the global average. Many European countries used a large proportion of their official development assistance budgets to finance the reception of refugees. 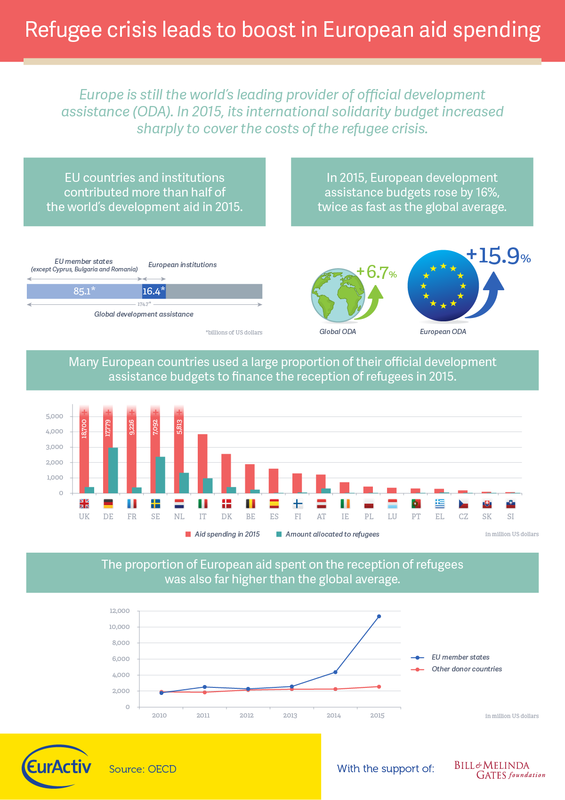 The proportion of European aid spent on the reception of refugees was also far higher than the global average.